Wittering, near Peterborough, has recorded its highest temperature since Met Office records began in 1910. The temperature at Wittering was recorded at a sizzling 35.3C this afternoon (Wednesday, July 1). It would be easy to compare the city to the Mediterranean today with the unusually hot climate making it very much a day for cold drinks and ice cream. The fountains are on in Cathedral Square and large queues had formed outside the Peterborough Lido looking for a cooling swim outdoors. And fortunately, people are taking the necessary precautions in the heat with Peterborough City Hospital not receiving any additional patients in the Emergency Department due to suffering ill effects from the weather. Nationally, the hottest temperature was the 36.2C recorded at Heathrow. The hottest July temperature ever recorded was 36.5C at Heathrow in 2003. The founder of Peterborough Weather Watch, Trev Robbins-Pratt, said data from his site goes back to 2006 with a highest temperature recorded of 35.2C on July 19 2006. Temperatures are set to cool slightly for the rest of the week but remain in the mid-20s. Cambridgeshire Fire And Rescue Service are reminding people to think carefully before jumping into rivers and lakes as part of their #RememberRony campaign. The campaign comes following the death of teenager Rony John in Cambridgeshire’s River Ouse last year. . Remember children and older people are most at risk during the heatwave. If you can, check on your friends and neighbours. Are you enjoying the heat? We’d love to see your photos. 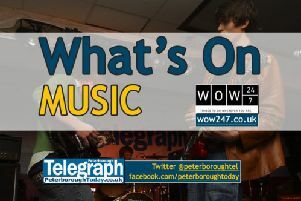 Email news@peterboroughtoday.co.uk or tweet: @PeterboroughTel.